Insights for Sunday week 2 of the NFL !!! Saturday was a very busy day with 7 one unit plays. The busiest so far this year as I recall. At the end of the day we went 2-0 in MLB and 1-3-1 in College Football. And it could easily have been 0-4 or even 0-5. There were no easy wins or ties and the three losses only 1 could of gone the other way. But we still ended up on the plus side for the day, yes , thanks to 2 MLB Dogs!!! No matter how well things are going never forget that draw downs could be right around the corner. It matters no which sport you are betting. They can come in any sport at any time. 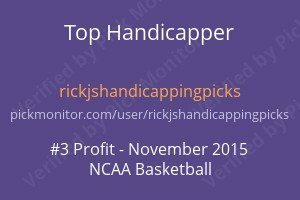 If you always incorporate this into your betting you will have a nice long term future in handicapping. 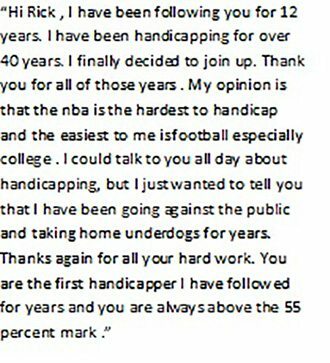 If you do not take heed of this you will end up like 95% of the other sports bettors…..On the Sidelines either through disgust or lack of money. The above is a truth that is absolute. If you doubt it than you need to quit betting immediately!!! I had several other games in mind also. Rams and Minn. The Rams I passed on as the line came out at +4.5. I could of taken the other side as the line when I turned these in was -7. But I felt the rams were the right side of the game and unless I have nothing to choose from I tend to pass on these games. Minn I could of taken just as easily as Tampa Bay. There are very good arguments for both as a 5th pick. Going into today I am 4-2 in the Super Contest as Buffalo lost Thursday night. The top 5 started out 3-2 while the bottom 5 went 3-2 also. Today I have sent out 1 one unit play and 5 Big Move Games.